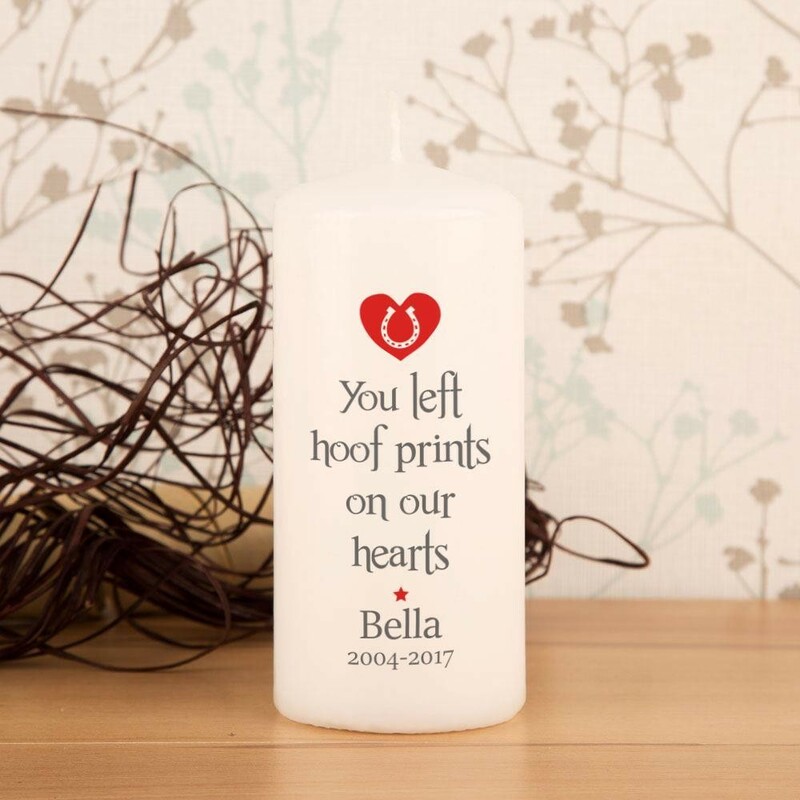 Our special personalised candle makes a touching tribute to a special horse. 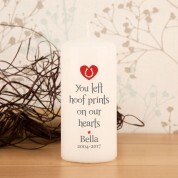 The memorial pillar candle features a design that reads “You left hoof prints on our hearts”. A big red heart and a horse shoe completes the design. The pets name is included, along with special dates. The candle can be displayed and enjoyed for years to come. 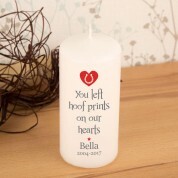 Every time it is lit, it will remind the recipient of their loyal friend.